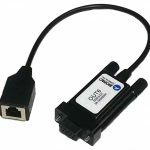 Connect external device output signal to an unused UIM100C input channel (1-16). Connect external device output signal to an unused HLT100C input channel (1-16) via INISO. If an analog channel is used on the UIM100C or HLT100C, make certain that two external devices do not use the same analog channel. If amplifier modules are connected to the MP System then those amplifier modules must be set to a channel which is not used by external devices plugged into the UIM100C or HLT100C. Two external device outputs and an ECG100C amplifier are connected to the MP150 system and connected to a human subject. Both the NIBP monitor and the Electronic scale outputs should be connected to the MP150 inputs via the HLT100C, using one INISO for each input channel. The ECG100C should be snapped directly to the MP150 System and connected directly to the subject with the appropriate leads and electrodes. Assuming the NIBP is connected via INISO to HLT100C channel 1 and the Electronic Scale is connected via INISO to HLT100C channel 2, then the ECG100C amplifier must be set to a channel between 3-16. The ECG100C can’t use Channels 1 and 2 because other devices are using both of these channels.